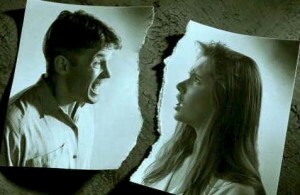 Divorce is a difficult decision, and many people neglect focusing on their finances when they decide to end a marriage. For this reason, Preparing for Divorce: 5 Smart Financial Tips offers suggestions for preparing yourself financially. The first step in preparing for divorce is to open separate bank accounts. If possible, remove 50 percent of the money in the account used during the marriage, but discuss that with your spouse before doing so. Transfer all direct deposits into this account as soon as possible. As soon as you make the decision to divorce, check your credit with the three major credit bureaus. Place a fraud alert on your report to avoid a vindictive spouse from damaging your credit. Contact all financial institutions with joint accounts and request that the account be blocked from use or cancelled completely. Obtain credit in your name only. If you are in good standing with the financial institutions, they will be willing to open an account in your name alone. As long as there is a balance on any joint accounts, you will both be responsible for that debt, so it is important to pay those off as soon as possible. Late payments will affect both parties credit, so it is imperative that the debt continue to be paid regularly. If your spouse neglects financial obligations, you will still be responsible even if they agree in the divorce settlement to pay the debt, so it is advisable to pay any debt in full as soon as possible. One of the biggest mistakes people make, even those who are not getting divorced, is neglecting to create a budget. Be realistic, using only confirmed income and expenses. Do not trust that a spouse will pay living expenses, that you will get alimony or that child support will be sufficient to offset expenses. If you have valuables such as jewelry, antiques or family heirlooms, keep them in a safe place, such as a safe deposit box under your name only. If that is not possible, place the items with a friend or relative you can trust in order to keep a vindictive spouse from removing the items from the home. Create a list of assets, including real estate, vehicles, retirement accounts and life insurance. Also create a list of liabilities, such as mortgage, credit card debt, etc. Make copies of all statements, such as credit card, bank and loan documents to document the amounts prior to the divorce. As statements arrive, check them carefully for unusual activity. Make copies of important documents, such as wills, tax returns and marriage certificates. If you have a copy of your birth certificate, place it in a safe place with your valuables. To acquire the services of a skilled, compassionate and knowledgeable divorce attorney, visit www.DivorceAttorneyStLouis.net. I really hate the idea of divorce but not all marriages work out. If you are going to be getting a divorce i would talk about it and do the things mentioned. How does it work though if you are still married and start opening another account. Isn’t that still going to be included in money together and divided? I like the budgeting idea but putting things in a safe deposit box seems like hiding. Divorce is something that couples dread. Yet, if it is part of our destiny, so be it. Thus, we have to be prepared especially on the financial side. Creating a list of assets and liabilities is essential. More than this, the services of a divorce attorney is important to make things easier for both parties. Divorce is a complex process. You should also consider child support if you have children. Prior to divorce, it’s very important that you are financially prepared especially if you have more 1 kids to support.